A traditional resume, also known as a chronological resume, emphasizes your work history. It includes a list of your work experience. For each job you have held, you include the dates you worked, the job title, and the company. Most traditional resumes list work experience in reverse chronological order (with your current experience first). You should use a chronological resume when you have extensive work history that is related to the job you are applying for. It is a good way to quickly show that you have related experience. On the other hand, a functional resume does not emphasize your chronological work history. Instead, it highlights your skills and abilities. Typically, your skills are organized by theme (for example, “Customer Service” and “Oral Communication”). Under each theme, you provide specific examples of projects, tasks, and assignments you have completed that show you have those skills. That being said, it is still a good idea to include a brief work history section in a functional resume. Consider including a short, chronological work history section at the end of your resume. If you have gaps in your employment, or frequently changed jobs, you can leave out your employment dates. Functional and traditional resumes are not the only resume types to choose from. For example, if you want to both highlight your skills and include your chronological work history, consider a combination resume. If you are in a creative position (such as graphic design), consider using a nontraditional resume. This kind of resume allows you to include visuals, such as graphs and infographics. This way, you can show off your design skills within the resume. Functional resumes are ideal for people who do not have lots of work experience related to the job they are applying for. 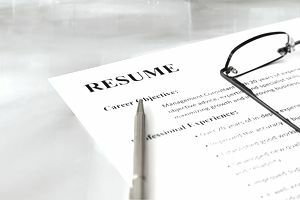 If you are switching careers, are new to the field, or have gaps in your employment, consider a functional resume. Also, if you frequently change jobs, you might also consider a functional resume. This helps you avoid highlighting the fact that you have not stayed at one job for very long. A functional resume isn't organized by position, so you'll need another organizational structure. This can be categories based on your skills or qualifications. Look at the job description for cues about what to emphasize here. Read below for an example of a functional resume. This example includes a resume summary statement, which is a great way to quickly demonstrate your skills and abilities. It also includes a concise list of experience and a detailed list of skills. While this resume includes a work history section (labeled “Employment History”), it provides only brief details about the jobs held. It also includes this information near the bottom of the resume, to avoid highlighting it. Download the functional resume template (compatible with Google Docs and Word Online) or see below for more examples. Experienced and versatile professional with strong urban planning as well as people, management, and research skills seeks a position in urban planning and environmental impact analysis with a major city or Fortune 500 company. Administrative: Lead coordinator for the daily processing of thousands of checks for payment and the mailing of confidential reports, meeting strict deadlines, and avoiding late fees. Problem Solving: Designed a waste-management program involving Recycle Ann Arbor and a major book company, intended for the efficient handling of tons of paper, cardboard, plastic, metal, and glass, achieving net savings of $20,000 per building annually and reducing company disposal obligations. Management: Oversaw operations of an expanding research lab, providing expertise, commitment, and quality control during a time of significant transition. Zezee Corp., Ann Arbor, Mich.
City of the Stars, Mich.